What Are the Applications of Sanitary Shut-off Valve? A sanitary shut-off valve is a kind of mandatory sealed valve. When the valve is closed, pressure must be applied to the valve gate to ensure the sealing surface doesn’t leak. When the medium enters the valve from below the valve gate, the resistance the operating force needs to overcome is the friction between the valve stem and stuffing as well as the propulsion produced by the pressure of the medium. The force used to close the valve is bigger than the force used to open the valve, so the diameter of the valve needs to be big, otherwise, the valve stem will be bent. There’re three types of connection methods: flange connection, threaded connection, welded connection. Since the appearance of self-sealing valves, the flow direction of the medium of shut-off valves is changed to entering from above the valve gate. In this case, under the pressure of the medium, the force used to close the valve is small while the force used to open the valve is big, so the diameter of the valve stem can be reduced accordingly. Meanwhile, under the influence of the medium, this type of valve is also more compact. The opening and closing member of the shut-off valve is a plug-shaped sanitary valve gate. Its sealing surface is flat or sea-coned. The valve gate shuttles along the centerline of the valve seat. The movement of the valve stem includes up-and-down rotating rod type, used for controlling the flow of various fluids like air, water, steam, corrosive media, mud, oil, liquid metal, and radioactive media. Thus, this type of shut-off valve is very suitable for cutting off or regulating or throttling. This type of valve is very suitable for regulating the flow because the opening and closing distance of the valve stem is relatively short and has very reliable cutting-off functions and because the change in the valve seat is proportional to the distance of the valve gate. A needle sanitary shut-off valve is a small gauge globe valve that opens and closes and precisely controls flow in the instrumentation piping system. They are mainly power station instrumentation series, oilfield series, and American standard series. Low-temperature globe valves are usually globe valves with operating temperatures below -110 ° C and are widely used in LNG, liquefied petroleum gas and other cryogenic industries. From 2008 it can be made for the temperature of -196 ℃ cut-off valve, all parts of liquid nitrogen pretreatment at low temperature, completely avoid the use of seal deformation leaks. The sealing surface of a plunger sanitary shut-off valve is a radial seal structure. This valve has two elastic sealing rings that wrap over the polished plunger. The valve body and bonnet connection bolts apply a load on the bonnet, compressing the elastomeric seal around the plunger to seal. 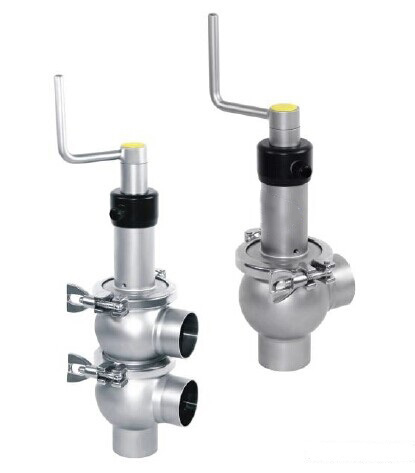 The design of an insulation sanitary pinch valve uses an external heat source in the outside of the globe valve cycle heating, effectively prevent the media through the shut-off valve temperature loss, to ensure the temperature of the medium. The forged steel globe valve is designed and manufactured in accordance with the API 602 Standard and provides three types of bonnet design: bolt bonnet welded bonnet and pressure self-sealing bonnet. Users can choose different forms according to their needs like the connections of RF flange, NPT thread, and SW welding. This valve is made of good quality brass or stainless steel casting, with high mechanical strength, wear resistance, good safety and so on. It is used in the oxygen pipeline, with the best explosion-proof flame-retardant properties, eliminating the insecurity of the oxygen pipeline. It is widely used in steel, metallurgy, petrochemical, chemical, and other oxygen project pipe network, in addition to the function of a common cut-off valve, but also has its own characteristics. It uses a strict prohibition of oil in manufacturing. In addition, all parts are strictly degreased before installation. It uses the shape of stainless steel bellows design, reciprocating bellows test 10000 times without failure. Moreover, its sealing performance is reliable which is suitable for industrial and mining flammable and explosive and toxic and harmful media. It can effectively prevent the valve leakage. It is suitable for various concentrations of aqua regia, sulfuric acid, hydrochloric acid, hydrofluoric acid, and various organic acids, strong acids and strong oxidants at minus 50 degrees Celsius to 150 degrees Celsius. 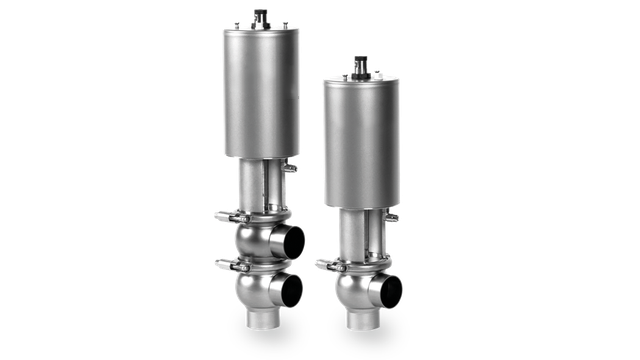 It can also be used in a variety of concentrations of strong alkali organic solvents and other corrosive gas or liquid media on the pipeline.